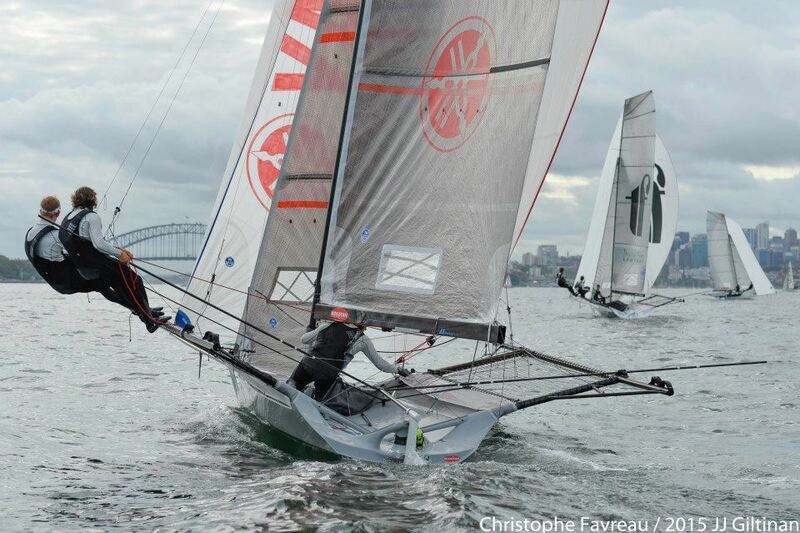 United States 18ft Skiff champion Howie Hamlin turned the memory clock back 12 years when he skippered Harken to victory in Race 6 of the 2015 JJ Giltinan 18ft Skiff Championship on Sydney Harbour today. 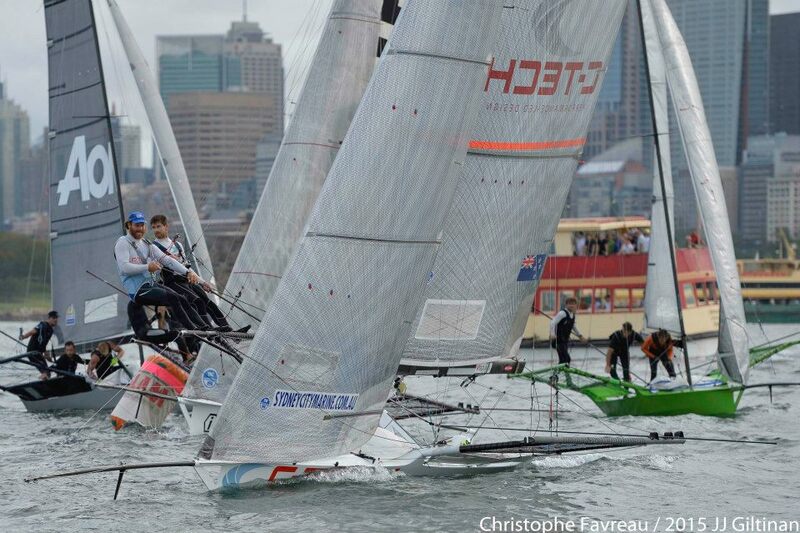 Despite finishing a disappointing eight place today, the Gotta Love It 7 team of Seve Jarvin, Sam Newton and Scott Babbage became the 2015 JJ Giltinan champions as a result of the brilliant start to the regatta with four consecutive race wins. 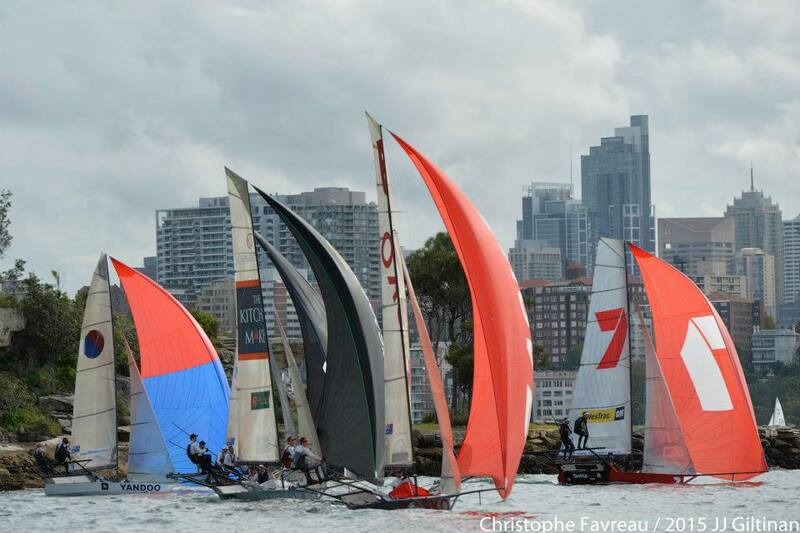 A very light Easterly breeze saw two distinctive choices made by the fleet on the windward leg from the start at Robertson Point to Rose Bay. Mojo Wine’s team elected to sail a course past Bradleys Head while Thurlow Fisher Lawyers and Gotta Love It 7 went to the right off Clarke Island. 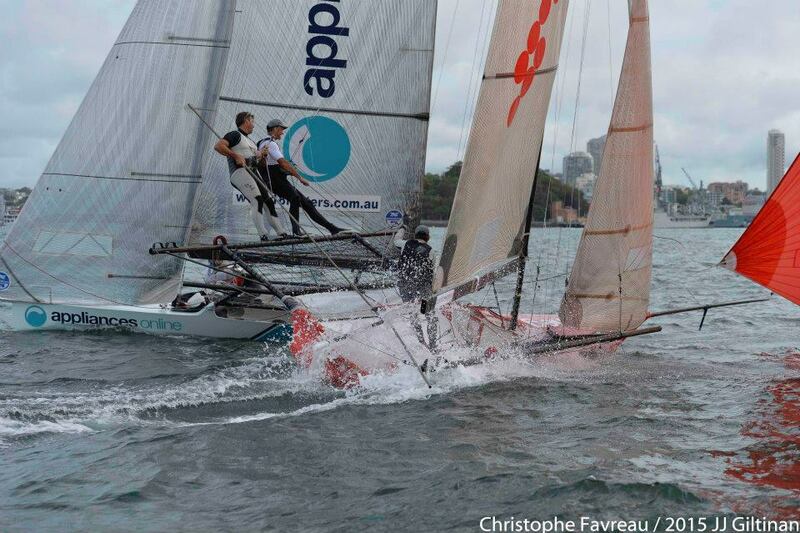 When the two groups met off the western side of Shark Island Mojo Wine was the leader with Harken close behind. 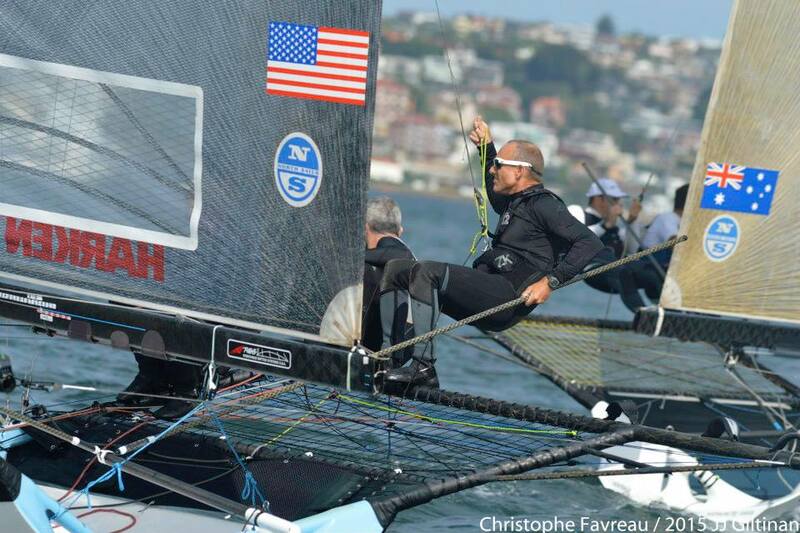 At the windward mark, Mojo Wine held a 20 second margin over Harken, with Compassmarkets.com (Keagan York) in third place just ahead of Yamaha and Gotta Love It 7, which was one minute 10 second from the lead. The downwind leg to the mark off Clarke Island, then to the bottom mark back near the start, provided some dramatic changes in the fleet. 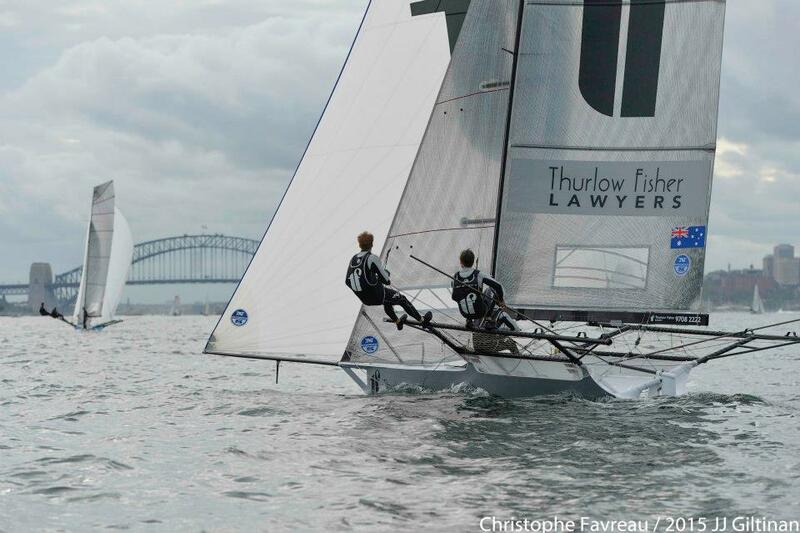 Harken got through to the lead while Thurlow Fisher Lawyers was trailing by 10s. 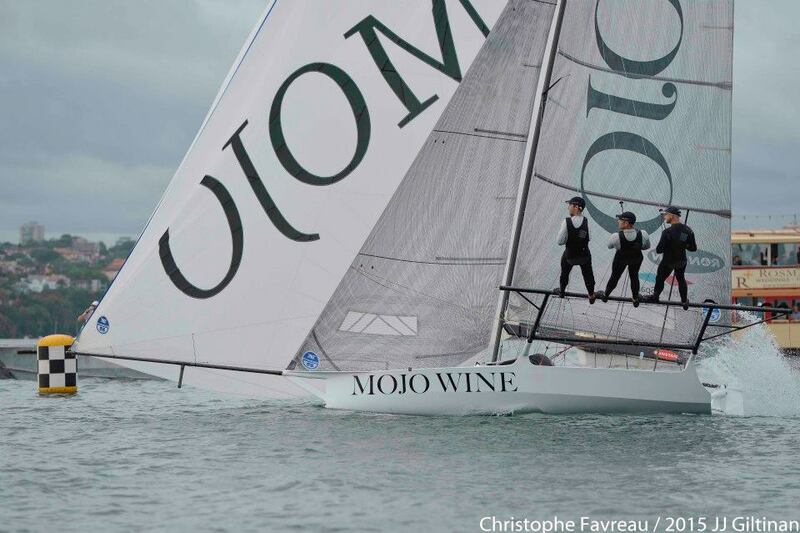 Mojo Wine had dropped back to third ahead of Yamaha then a large bunch headed by Lumix (Jonathan Whitty), Asko Appliances, Knight Frank (Riley Dean) and The Kitchen Maker (John Sweeny). Gotta Love It 7 had a disasterous leg and was now back in 14th position. 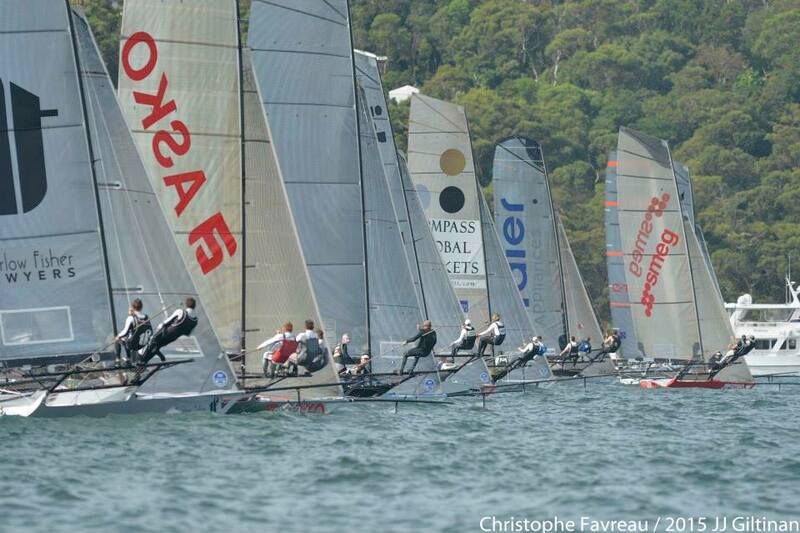 Hamlin and his Harken team took a central line on the next windward leg and retained their lead while Thurlow Fisher Lawyers and Yamaha settled into a good battle for the minor placings. 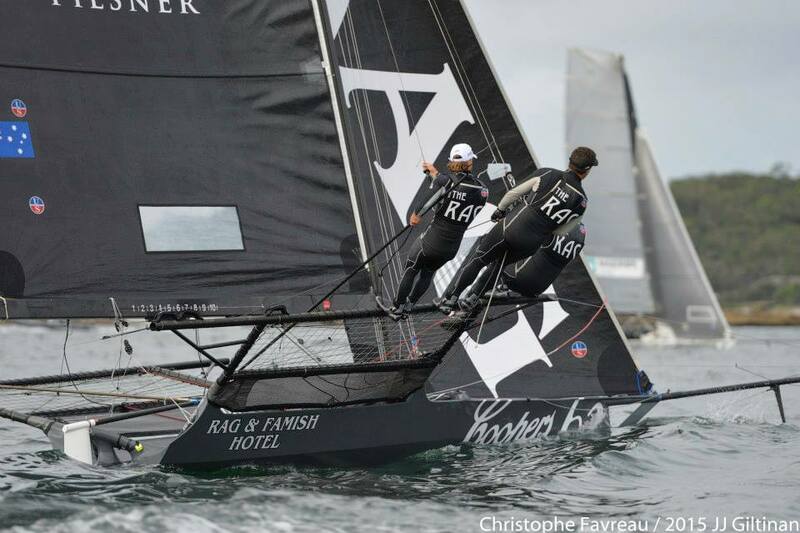 The trio held these positions over the rest of the course and now go into tomorrow’s final race in a great battle between four boats for second place overall.